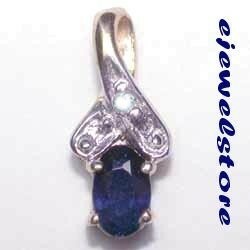 Beautiful Genuine Sapphire complimented by a genuine diamond set in yellow gold. 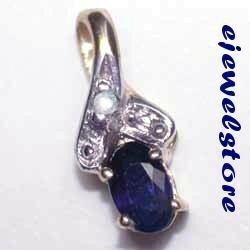 1 Genuine oval shaped Sapphire measuring a1 Genuine glistening white diamond. Approximately 5x3mm and Weighing .35 Carats.